What is one of the most frequently asked questions that dentists hear? The most frequently asked question we receive is “What type of toothpaste should I use?” There are a number of different options when it comes to choosing toothpaste because each one can provide different benefits for your mouth. Different toothpastes can help fight bacteria, control plaque and tarter and can even help with bad breath. There are other toothpastes that helps keep your gums healthy and prevent gum disease, while some are specially made in order to help whiten your teeth. The different benefits that these toothpastes provide can be either aesthetic benefits or even medical benefits, such as toothpastes for sensitive teeth, so it is important to know what you are looking for when picking out new toothpaste. So with all the different varieties of toothpaste out there, how do we decide which one is the best for your dental needs? First of all, know the basics and know what you are looking to get out of your toothpaste. 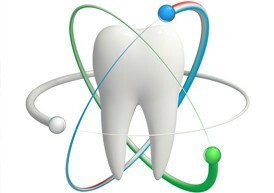 The most important thing to know about the toothpaste you choose is that it must contain fluoride. What is fluoride? It is a mineral that helps fight tooth decay and cavities by protecting your teeth from acids released from starches and sugars. For kids, or for those who don’t like the taste of regular toothpaste, there are different flavors that you could choose from when picking out your toothpaste. These flavors range from cinnamon to bubble-gum but make sure that they include fluoride in the ingredients. If your teeth seem to have a lot of thick residue on it then there are certain toothpastes that have abrasive agents that will scratch off and remove debris from your teeth. If you are looking for toothpastes that can provide health benefits, then you can choose from tarter control toothpastes, whitening toothpastes, and toothpaste for sensitive teeth. After the plaque on your teeth hardens it is now tarter, which is very hard to remove and can lead to gum disease. Tartar control toothpastes can help prevent the buildup of plaque that leads to tarter by using different ingredients such as pyrophosphates and zinc citrate and even antibiotics. Other toothpastes can be great for people whose teeth are very sensitive of heat or cold by blocking the connection of some nerves through the teeth. At Cadena Family Dentistry we can provide all the information you need in order to get your teeth as white as possible. If you find that your teeth have gone too far to be treated just by changing your toothpaste then you can come to us for any of our treatments that will help get your smile looking beautiful again.